Christopher M. Loveland is a partner in the Government Contracts and Business Trial Practice Groups in the firm's Washington, D.C. office. Mr. Loveland has represented corporate and individual clients in all phases of complex civil and criminal litigation in federal and state courts throughout the country. 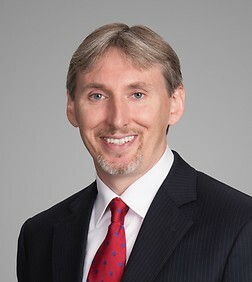 He has extensive litigation and appellate experience involving a wide range of issues, including commercial contract and partnership disputes, securities and accounting fraud, the qui tam provisions of the False Claims Act, and the Sherman Antitrust Act. In addition, Mr. Loveland has substantial experience advising financial institutions and trustees regarding their fiduciary obligations, and representing trustees and trusts in fiduciary litigation. Mr. Loveland also has represented clients in connection with investigations by government agencies, including the U.S. Department of Justice, the U.S. Securities and Exchange Commission, the U.S. General Services Administration, and various Offices of the Inspector General. In addition, he has experience conducting and managing internal investigations of public companies and privately held entities on a variety of issues, including allegations of accounting irregularities, fraud, and violations of the Foreign Corrupt Practices Act and the False Claims Act. Successfully defended a national banking association against breach of fiduciary duty claims in connection with its administration of family trusts. Obtained verdict on behalf of a limited partner on claims that the managing general partners breached their fiduciary duties through their acquisition, management and leasing of properties that competed with the properties owned by the partnership, which was affirmed by the Maryland Court of Special Appeals. Obtained summary judgment dismissing with prejudice a qui tam False Claims Act case filed in the U.S. District Court for the District of Columbia alleging that an information technology solutions provider violated the False Claims Act by offering products for sale to the government that did not comply with the Trade Agreements Act, which was affirmed by the U.S. Court of Appeals for the District of Columbia Circuit. Successfully moved to dismiss with prejudice qui tam False Claims Act case filed in the U.S. District Court for the District of Minnesota alleging violations of the False Claims Act in connection with sales to the government of information technology products. Obtained dismissal with prejudice of qui tam False Claims Act case filed in the U.S. District Court for the District of Massachusetts alleging violations of the False Claims Act regarding sales to the government that allegedly did not comply with the Buy American Act and the Trade Agreements Act. Obtained dismissal of Sherman Antitrust Act claims against a satellite company that allegedly conspired with a competitor to restrain trade. Successfully moved for summary judgment on behalf of a telecommunications company that was sued by a former salesperson who claimed he was owed $12 million in sales commissions, which was affirmed by the U.S. Court of Appeals for the Fourth Circuit. Represented one of the largest landowners in an eminent domain action brought by the District of Columbia in connection with the construction of the Washington Nationals Baseball stadium, which resulted in a favorable settlement. Obtained summary judgment on behalf of a financial institution and its counsel who were sued for having allegedly engaged in a fraud-upon-the court in connection with enforcement of a loan guarantee, which was affirmed by the U.S. Court of Appeals for the Fourth Circuit. Represented information technology solution provider in a False Claims Act investigation by the U.S. General Services Administration and the U.S. Department of Justice. Conducted internal investigation of the financing, construction, management and operation of a privately-owned gaming facility. Conducted internal investigation regarding representations made to the government and commercial contractors under a Federal Supply Schedule Contract. Represented high tech distribution company in an investigation by the U.S. Securities and Exchange Commission regarding alleged racketeering, conspiracy and fraud. Represented company in challenging an unlawful termination by the U.S. Department of the Interior in the U.S. Court of Federal Claims that resulted in a favorable $5 million settlement. Developed claims valued in excess of $270 million in connection with a multibillion dollar information technology contract dispute that resulted in a settlement favorable to the client. Successfully obtained judgment on the administrative record for a government contractor in a post-award bid protest, and obtained an order denying motions for a temporary restraining order and a permanent injunction. “Law and Motion in the District of Columbia,” November 30, 2009, Washington, D.C.
“Best Practices in Electronic Discovery for Trademark Practitioners,” International Trademark Association (INTA), July 22, 2008, Washington, D.C.